No doubt you’ve seen other gym-goers doing it, although you may not have known what exactly they were doing! 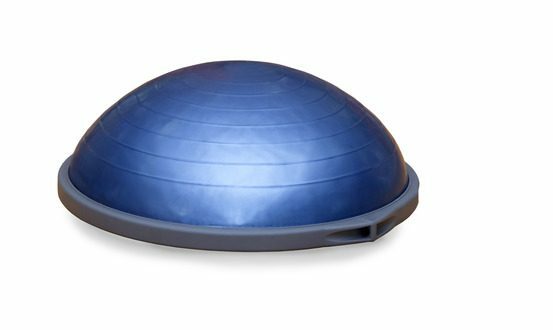 The half shaped exercise ball does look a little odd, but the fact is, it produces major results. Target your upper body, improve your overall endurance or even use the Bosu Ball to replace a cardio workout, as well as build muscle and tone lower body. Here are a few Bosu Ball exercises to get you started! If you think you’ve already got this exercise in the bag, you may want to think again. For this exercise, you’ll want to do it with the rubber part facing down. Doing so will challenge your balance coordination, and in no time you’ll increase your upper body strength! Just like a traditional push-up, a Bosu Ball push-up will allow you to improve the strength of your triceps, chest, biceps and shoulders in no time at all! When was the last time you added some spice to your squat workout? This exercise starts off as a squat, and ends with a jump off. Start by positioning the Bosu Ball, ball side up. Stand up on the ball, and in a slow and controlled motion, bend your legs as though you are preparing to sit down. In a squat position, jump off of the Bosu Ball. Then, repeat 5-8 more times for an extra cardiovascular boost to your day! Is the chest press machine taken at your gym? Forget the wait, and instead use your Bosu Ball. Start by taking a set of dumbbells, and hold one in each hand while you lay down on your back, Bosu Ball up. Slowly, bring your balls out to form a ‘T’ shape, and lift them up. Repeat this exercise about 15-20 times and feel stronger with each rep you do! 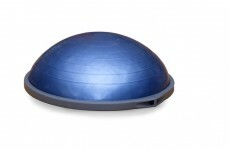 Bosu Balls are a fantastic way to bring more variety into your exercise routine. Strengthen your lower body, improve overall tone and increase your coordination. Give yourself just a week or two to try Bosu Ball exercises, and you’ll see what a difference it truly makes!